I heard a detailed and passionate confession of my sins yesterday. Except I didn’t make it. Years ago, Roy and I went through a process of discipleship with our friend, Paul, who would speak to us weekly, separately. That’s what it is, isn’t it? It’s a red light when I or you find myself preoccupied with someone else’s sins, when a church is preoccupied with analysing their pastor’s weaknesses. What uncomfortable realisations about ourselves are we keeping at bay? Our unerring analysis of our leader’s weaknesses, of other church members’ weaknesses, of our family members’ weaknesses gives us an easy, unearned sense of moral superiority. BUT, they take the time which should be given to the painful but intensely creative work of repentance. Intensely creative, because in repentance, WE change, and our life changes in exciting ways. 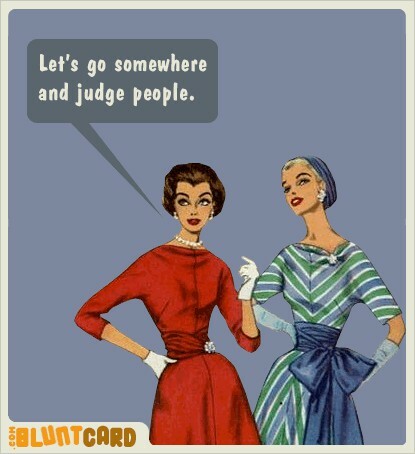 We all have people or actions we are accustomed to passionately judge. Often by doing this we keep uncomfortable realisations about ourselves at bay. We project our discomfort with ourselves onto others, and by finding a worse sinner or sin, unconsciously hope to feel better about ourselves. I think when I find myself doing this, I am going to Stop, Drop, Repent. A far more creative thought than confessing one another’s sins. "Cheer Up, You Are Worse Than You Think."